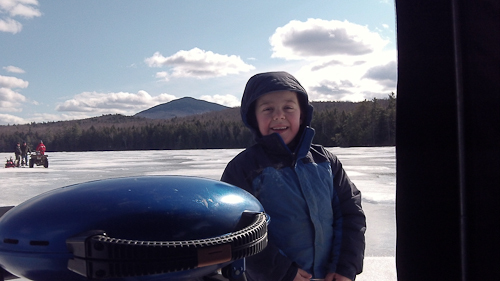 On April 28 Jack, Johnny, Bella (the dog) and myself spent the day at Higher Ground Pond in Wentworth, NH. 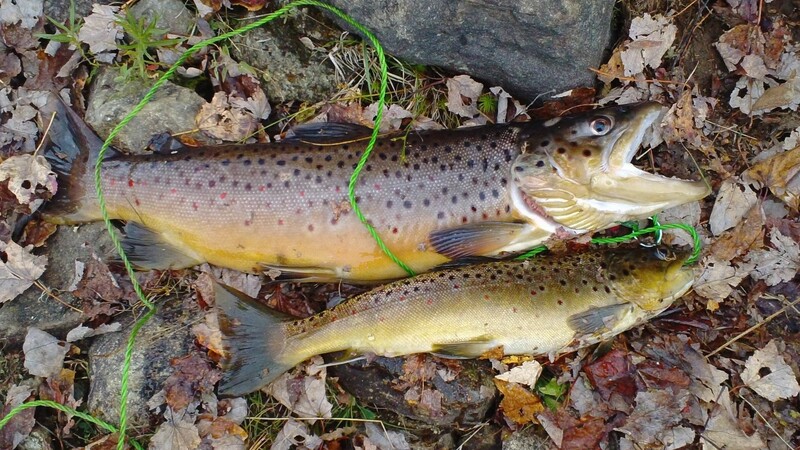 I was lucky enough to catch another 22 inch trout, just like the one I caught while ice fishing back in January. It was a wonderful warm spring day, which was a relief after the cool temperatures for most of the month. Not only did we catch fish, we got to see a family of geese and enjoy a great day outside. 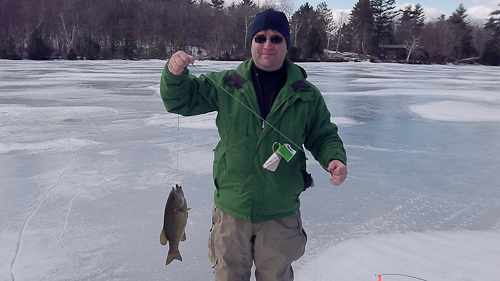 Saturday the 12th was my first chance to go ice fishing this season. Higher Ground Pond was high on the list of place to go since we had such good luck there during the summer and fall and it was now open for fishing year round. A rainy Friday night had turned into a warm and foggy Saturday morning. This hills around the pond were shrouded in fog and cloud giving the place a surreal appearance. We discovered about 5 to 6 inches of solid ice with a layer of wet, slushy snow on top. We were not happy about the wet conditions but were happy the ice was thick enough to be safe. Jack and I had one flag over the course of five hours, but it was a good strike. We arrived at the tip-up to see the reel spinning like crazy. Jack was kind enough to let me try and land the fish. I waited until the fish was on its second run and had turned direction before trying to hook it and haul it in. 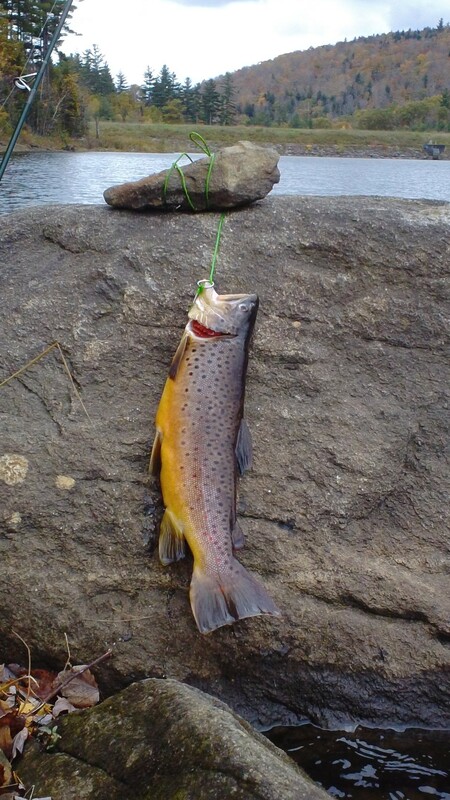 It turned out to be a 22 inch, 4 1/2 pound Brown Trout. 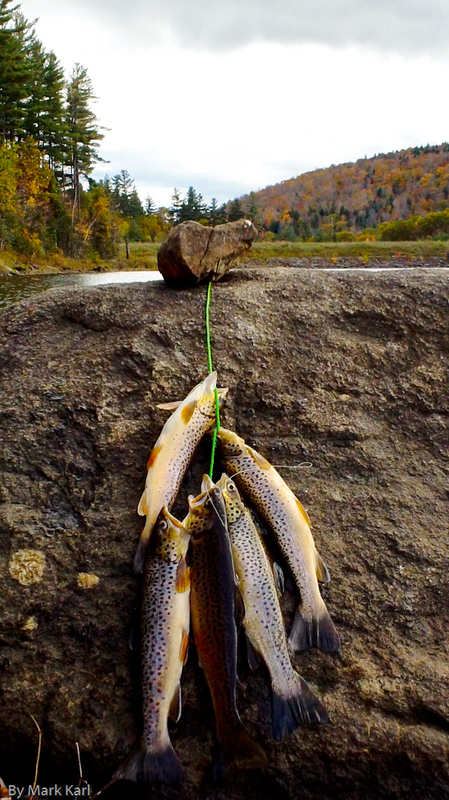 This is the largest trout have ever caught in my life (so far). As luck would have it, I forgot my video camera at home and all I had was a low quality phone camera. 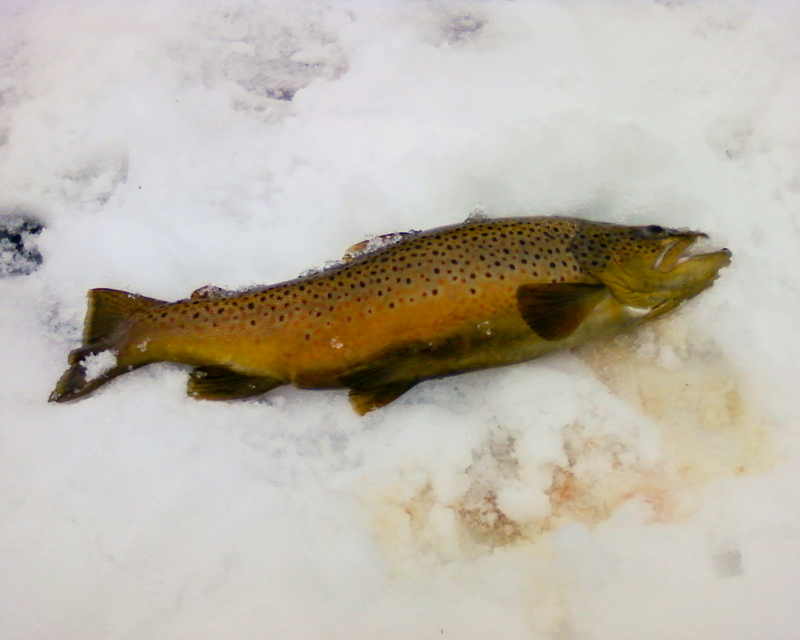 22 inch Brown Trout caught January 12th, 2013. 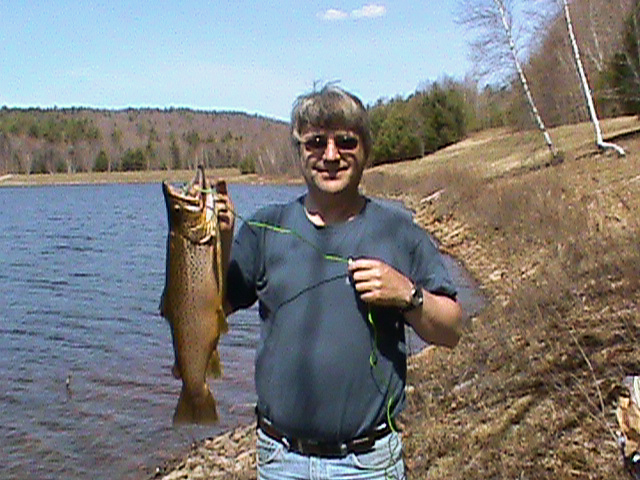 Caught a nice fat 16 inch brown trout at Higher Ground Pond in Wentworth, NH yesterday. I caught it on the first cast. How lucky is that? 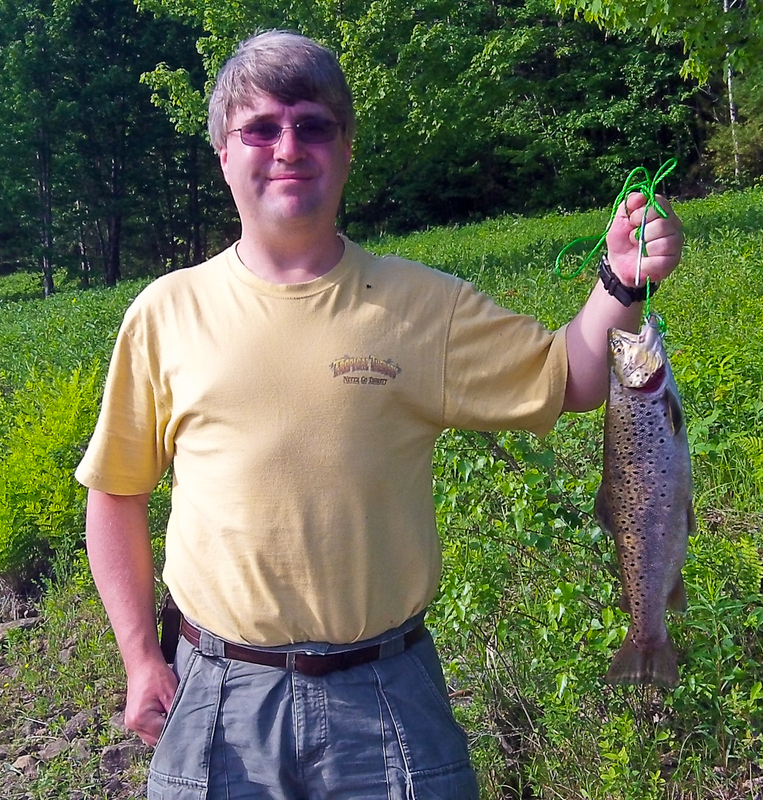 It jumped like a bass so I did not even know it was a trout until I got it close to shore. The weather for the weekend of February 18th and 19th looked promising with high temperatures in the mid 30’s. It turned out to be a little cooler than expected due to the wind but we were ready for that. It has been a strange winter with little snow and warmer temperatures. As a result the ice is bare (and slippery) unlike last year when there was heavy snow and slush on the ice. 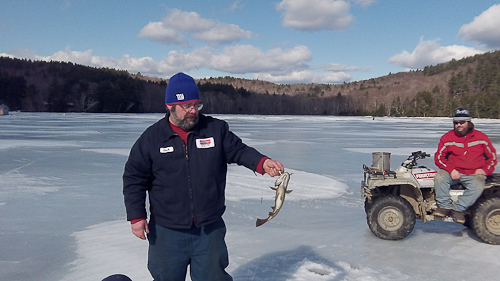 On Saturday we went to Indian Pond in Orford, NH. We joined our friend Kurt and a few others and set up camp near their ice shanty. There was about sixteen inches of ice on the pond. There is a nice view of Mt. Cube from Indian Pond. It was a great lunch even though cooking was a little challenging in the wind. I brought sirloin tips and hot dogs and Kurt brought some venison to share. 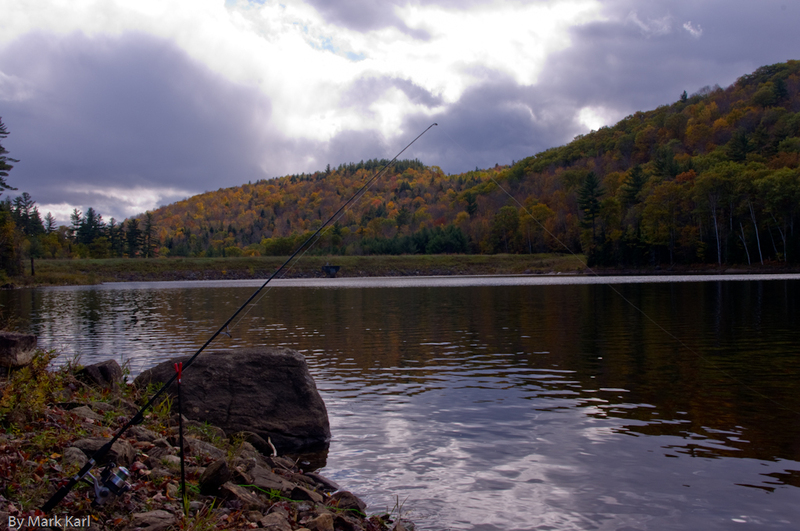 We decided to go to Upper Baker Pond in Orford, NH on Sunday. We had great luck there last year and I was looking forward to going back. 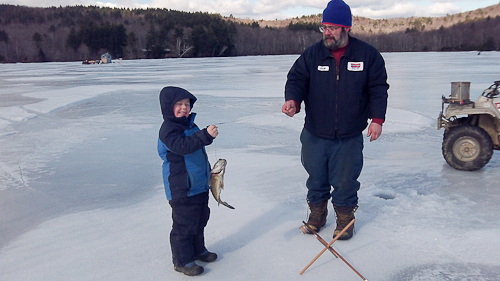 Once again it was colder and windier on the pond than the Connecticut River Valley. We wisely decided to set up the shanty near the shore where there was better traction. 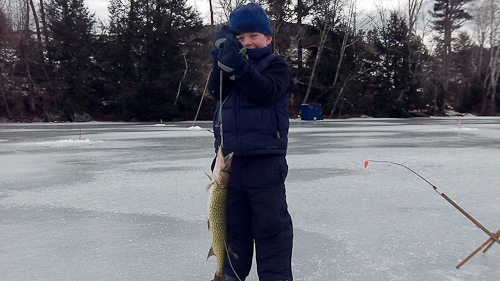 Johnny holds the first pickerel that we landed. I land my first fish of the day. 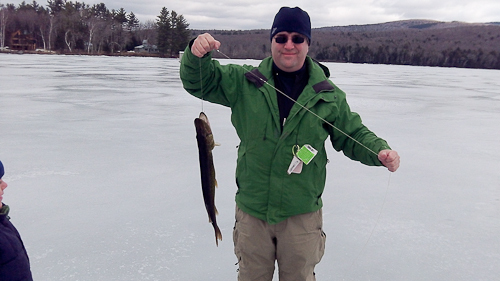 It was a nice pickerel that was about the same size as the one Jack caught earlier. 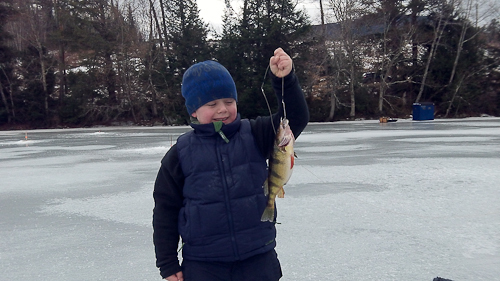 We even landed a few nice yellow perch. Johnny got a chance to practice pulling a fish out of the hole. He’s going to be a good fisherman when he gets older. 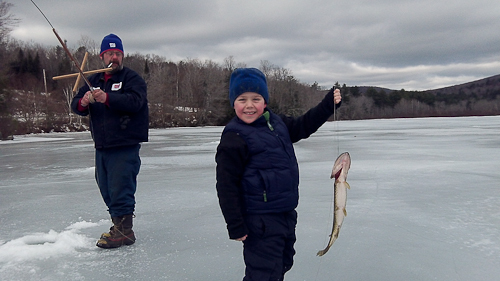 Overall it was a fantastic day at Upper Baker Pond and a great weekend of ice fishing.